The holidays are officially upon us. For most of us that means family, friends, yummy food, and probably a few gifts. If you’re looking for that special gift to get your favorite runner for Christmas this year– look no further 🙂 I’ve pulled together a list of items any runner would be sure to love. Let your runner know that you’re thinking of them this holiday season with one (or more!) of the gift ideas below. (1) Knuckle Lights – Designed to be worn on your hands, Knuckle Lights are a must-have for anyone running outside in the dark. And with winter upon us– let’s face it, most of us will be doing some of our runs in the dark. This runner gadget is comfortable, has three settings (high, low and blinking), and comes in five different colors. (2) Paceband – For the runner with a race goal. 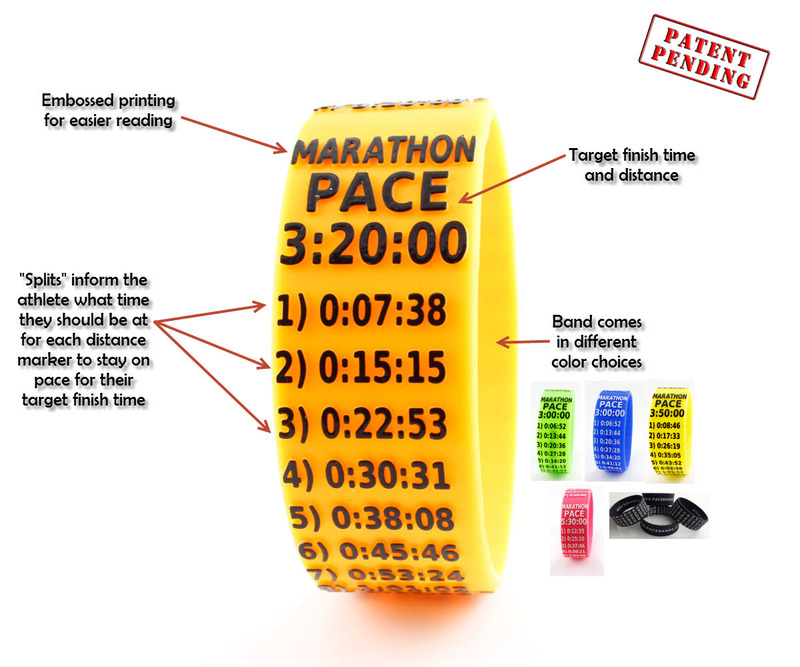 Pacebands are silicone bracelets that include target finish time and individual splits for the 5K, 10K, 13.1, and 26.2 distances. Don’t know your runners’ goal time? Pacebands also sells gift cards. (3) Camelbak Hydration Vest – The hydration vest is the perfect gift for runners who like to go long, or who spend time out on the trail. 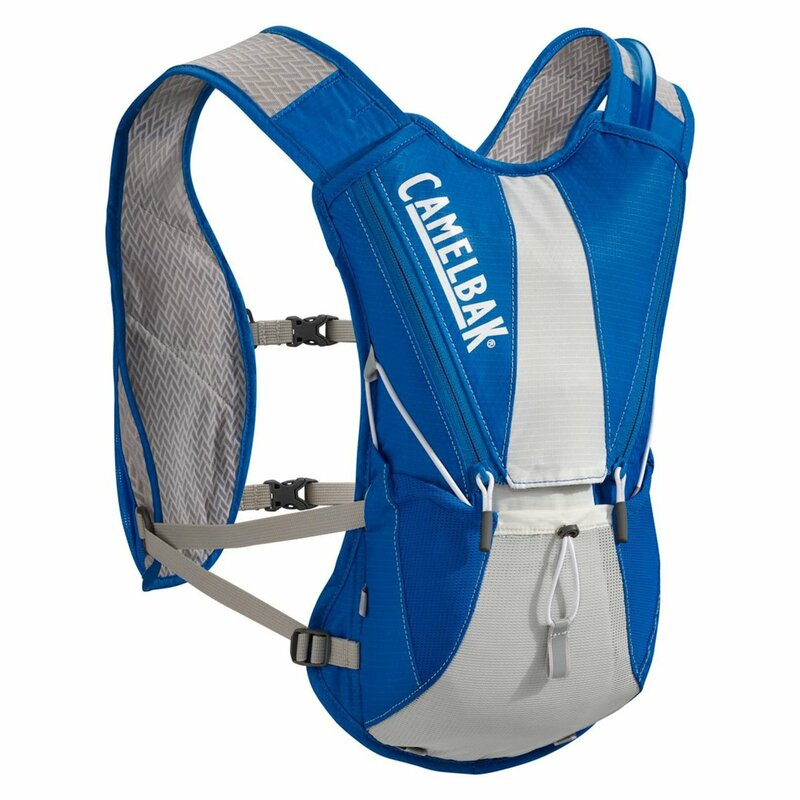 The Camelbak Hydration Vest holds 70 oz of H2O and has extra pockets to hold anything your runner may need for that long run. The vest is lightweight and has adjustable straps to ensure a snug fit for all shapes and sizes. And don’t forget– Camelbak has a “Got Your Back” Lifetime Guarantee. (4) FuelBelt Super Stretch Race Pack – This pack is made of lightweight stretch-mesh expandable material. It contains 4 Gel Loops and Lace Locks for race bib attachment. The stretch-mesh material is perfect for carting around a cell phone, money, ID, extra fuel, etc. (5) 2XU Compression Socks – Designed to lessen muscle fatigue and damage, these socks are lightweight and breathable. The graduated compression fit helps increase oxygen to the muscles to reduce swelling and soreness in the calf and shin. These socks also come in 10+ different colors. (6) Road ID – The perfect gift for all the active people on your list this year. Road ID is a bracelet that contains basic information about the owner to include name, emergency contact info, and medical info. Road ID comes in many shapes and size to fit any individuals’ style preference. Road ID could literally save your runners’ life if they were ever in an emergency situation. I don’t go on a run without mine. (7) Trigger Point Performance Foam Roller – Foam rolling is key to any runners’ recovery plan. Help your runner be prepared for those long runs and races this winter by supplying them with their own form of massage. The Trigger Point foam roller is perfect for rolling through tight muscles, knots and kinks to reduce soreness and improve mobility. (8) Reflective Dog Leash – Does your runners’ BRF (Best Running Friend) have four legs? If so, you can’t forget about them! Keep Fido safe during all runs by gifting your runner with a reflective dog leash this holiday. (9) Race Medal Hangar and BibFOLIO – Every serious runner needs an “I love me” wall. Why not get your runner started with a race medal hangar or bibFOLIO? You’ll encourage them to run harder with this fun and sentimental gift. (10) Garmin Forerunner 15 GPS Watch – Runners tend to love data– especially distance. The Garmin Forerunner 15 GPS Watch tracks distance, pace, heart rate and calories; has up to 8 hours of battery life with GPS on; and allows users to save, plan and share data on Garmin Connect. This GPS watch comes in five different colors. It’s not super bulky, and looks great as an every day watch as well. Happy Running, Happy Shopping and Happy Holidays!